We just touched on this one, but it does bear repeating—you may still need heating during the next two months when a cold snap hits. If you have any reason to think your furnace is experiencing malfunctions, such as strange noises from it or delays in turning on, then it’s better to have the problem addressed before the furnace needs to be used again. If the need isn’t attended to, the furnace may fail on you during the cold spell, and you’ll end up paying for a much more expensive repair. You will also be uncomfortable while waiting for the repair experts to show up. You notice the furnace doing something odd, but don’t detect any drop in heating. So you decide to let it go and worry about it at some point down the road, maybe in fall. But doing this will probably mean you’ll pay more to run the heater than you should. Most malfunctions put stress on the furnace, forcing it to work harder to raise the temperature to your desired levels, and this means your utility bills will rise. The sooner you have the problem diagnosed and fixed, the less you’ll be paying at the end of the season for heat. No furnace should operate if something is wrong with it because that extra strain on it will shorten its service life. It’s much like the engine in a vehicle: if it runs on low oil, the engine may burn out entirely and need to be replaced. To get the most years from your furnace, make sure it never runs with a malfunction. We saved this for last because it’s the most important—we want you to leave this post with safety on your mind. 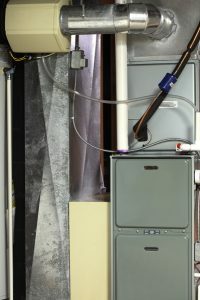 A gas furnace is designed to operate at high levels of safety, but only as long as it is maintained and kept in repair. When something is wrong with a gas furnace, it may lead to gas leaks or other potential hazards. Not all the time, but it’s a possibility you shouldn’t ignore. Shut off the gas to the furnace and call for repair experts. From furnace repair to furnace maintenance in Shreveport, LA, you can call on our expert technicians. We offer 24-hour emergency repair service so you never have to wait to have your heater fixed. We have more than 50 years of combined experience. Call the Doctor of Home Comfort: Hall’s Heating, Air Conditioning & Refrigeration serves the Shreveport area.